Martha has been studying yoga and body-mind therapy since 1986. She has been in private practice and teaching yoga in Burlington since 1992. Clients and yoga students appreciate Martha for her compassionate presence and skillful capacity to guide their healing journeys. Martha is continually awed by the innate ability of individuals to stretch beyond what they have known and to become more fully who they are. 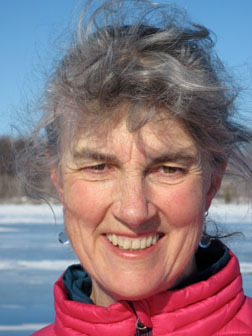 Martha is inspired by her own yoga and meditation practice as well as her passionate connection to nature through wilderness canoe travels, gardening and simply being outside.